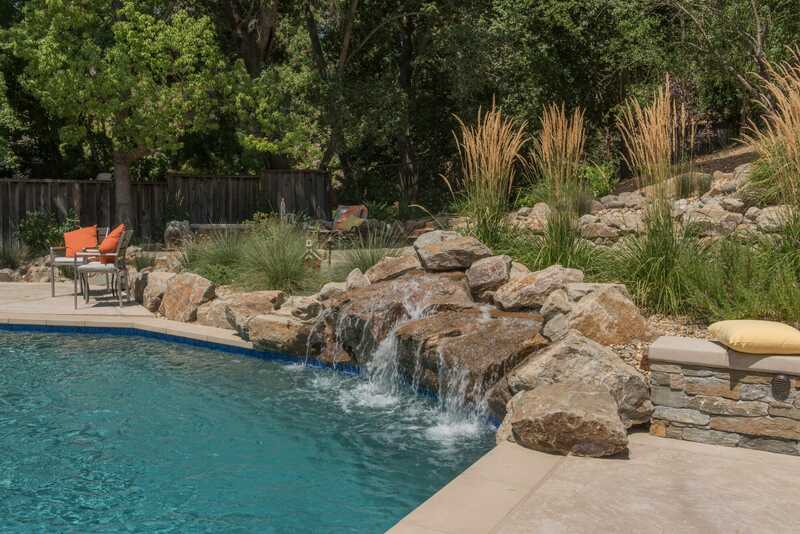 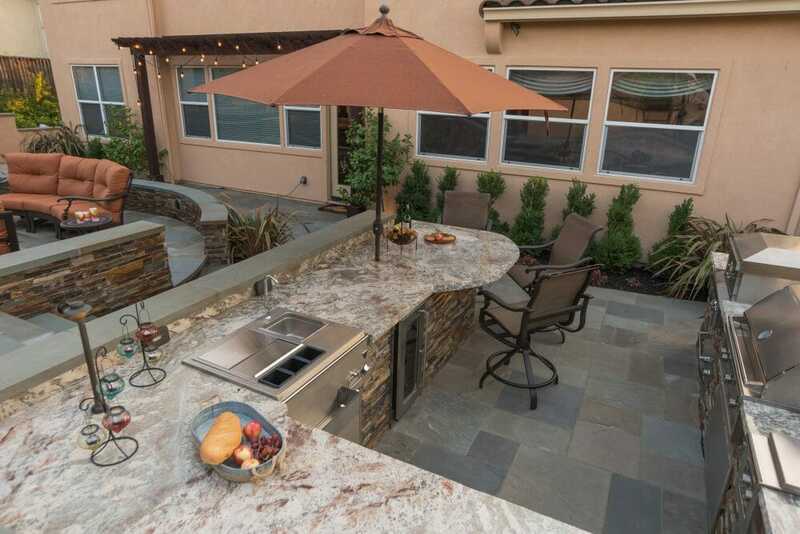 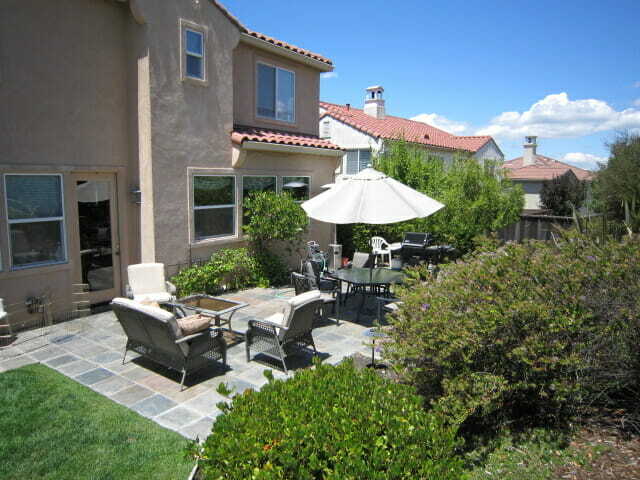 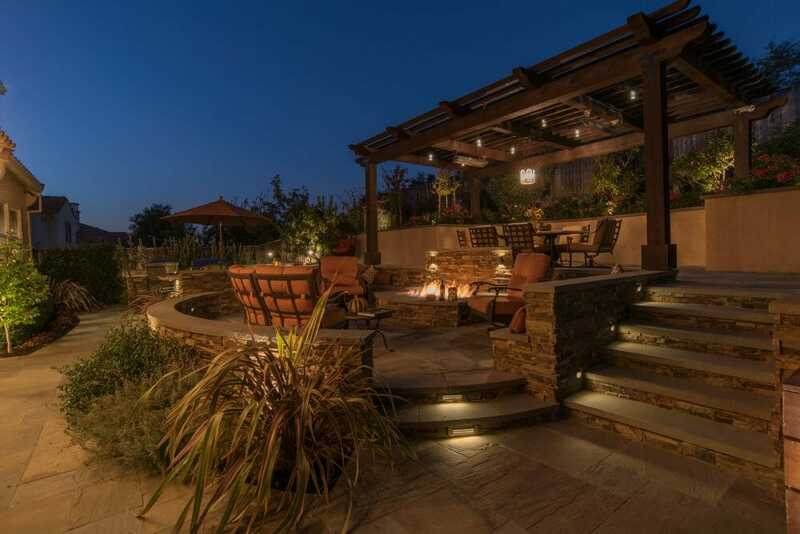 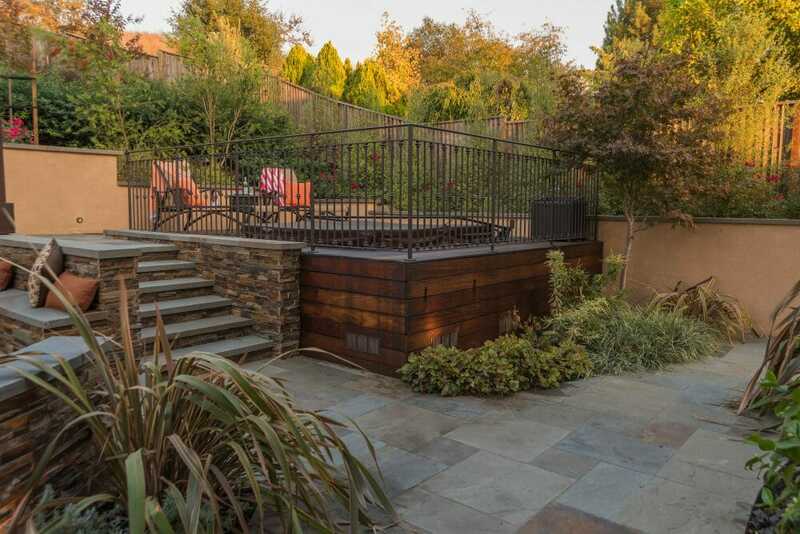 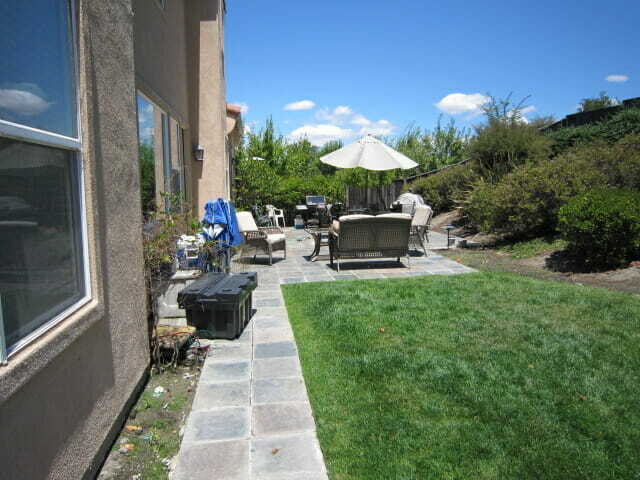 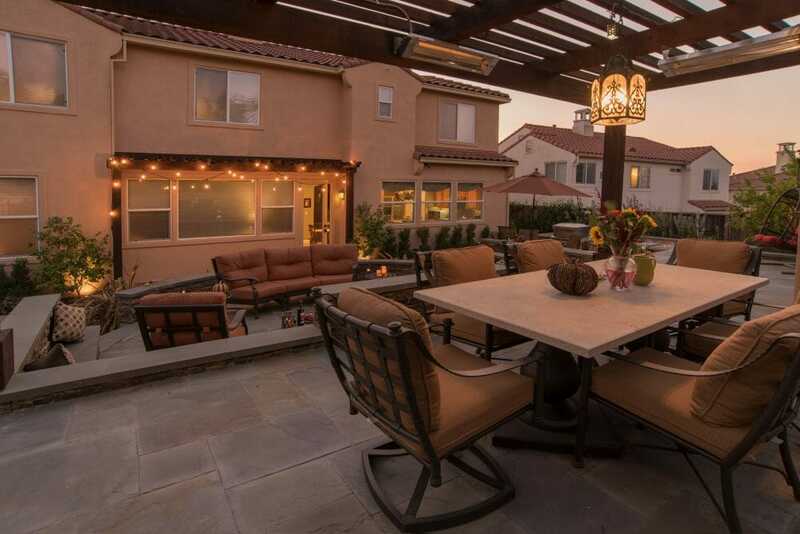 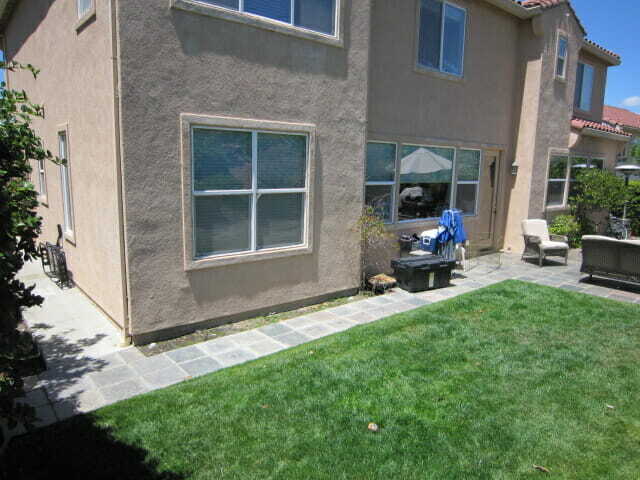 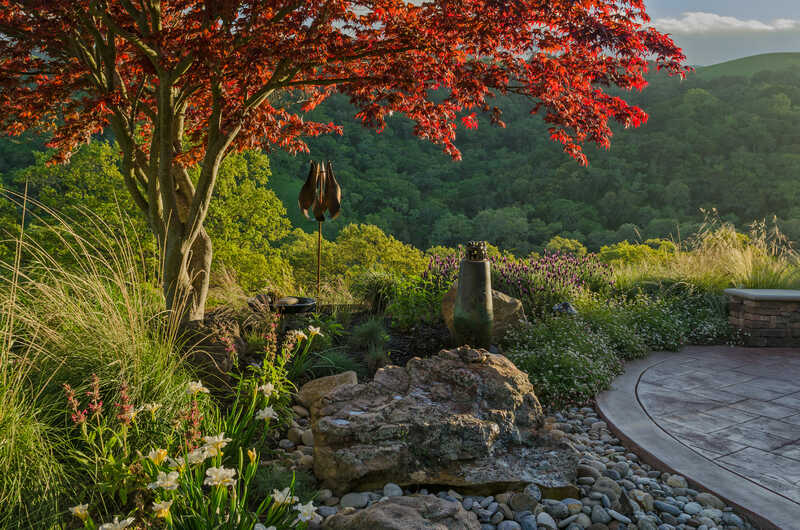 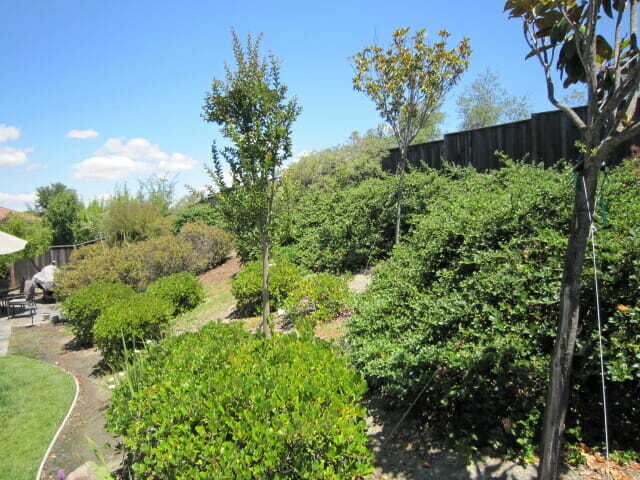 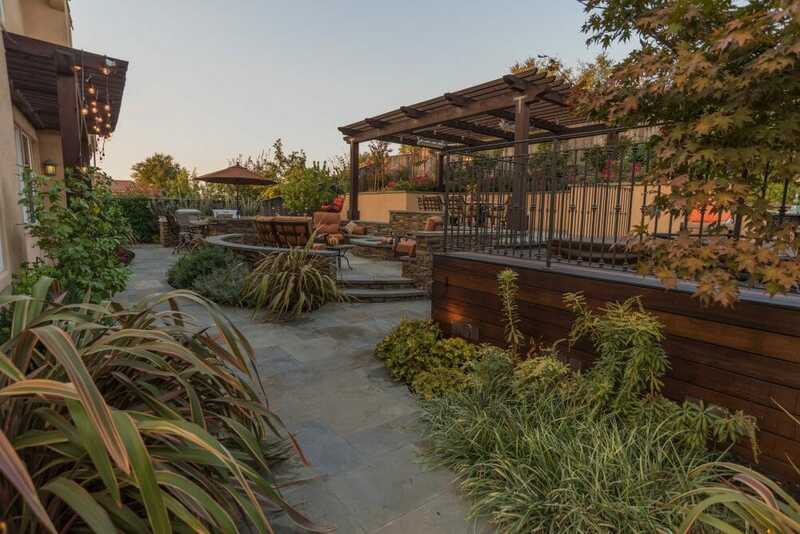 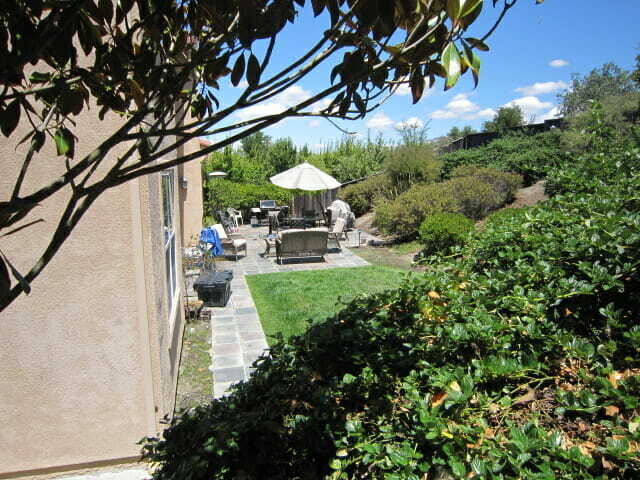 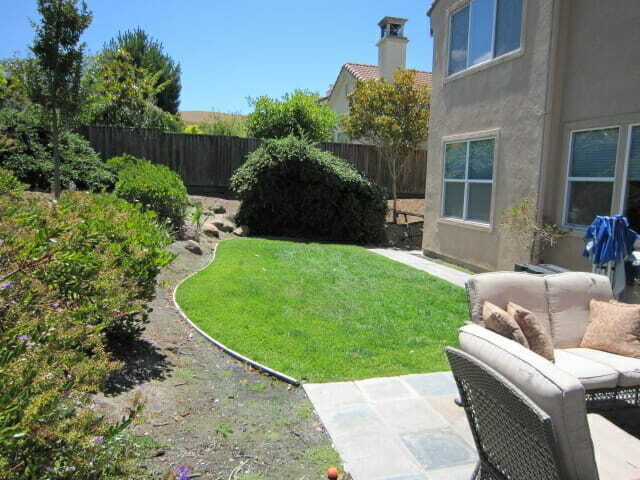 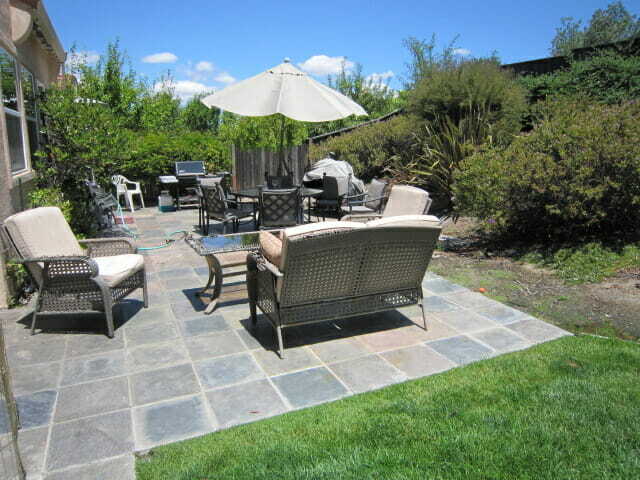 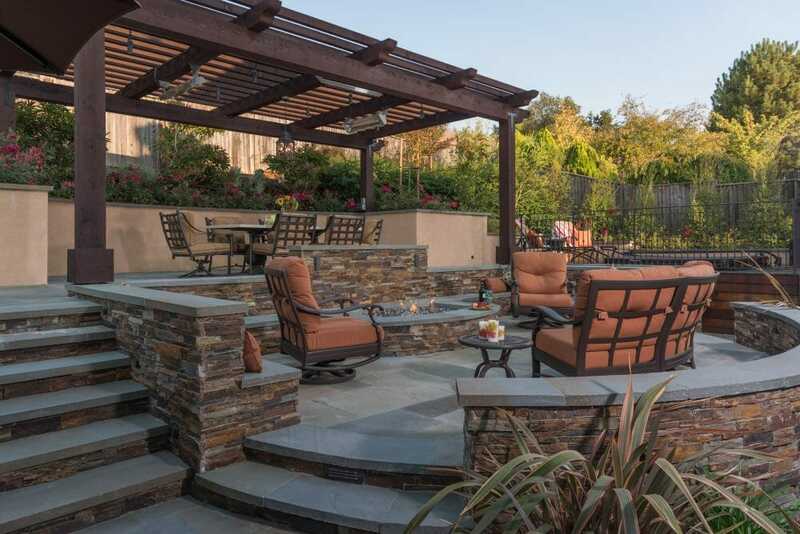 The backyard of this San Ramon property consisted of a rarely used patio and unusable large hill. 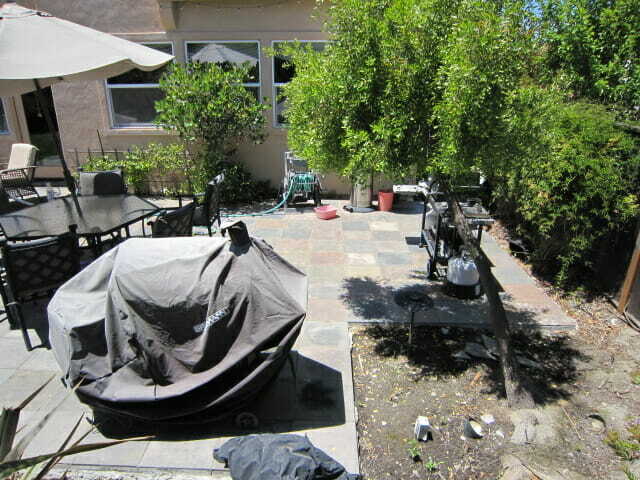 The homeowner hired SFLA to make their yard more inviting and functional, and to help them realize the “diamond in the rough” they possessed. 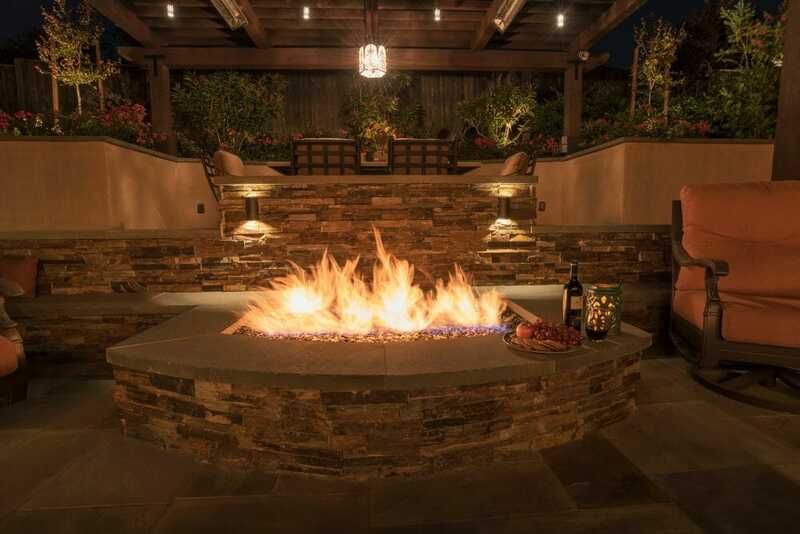 The client chose a Moroccan theme with a wish list consisting of: a hot tub, places to lounge, a fire pit, kitchen and bar island and a dining area for eight people. 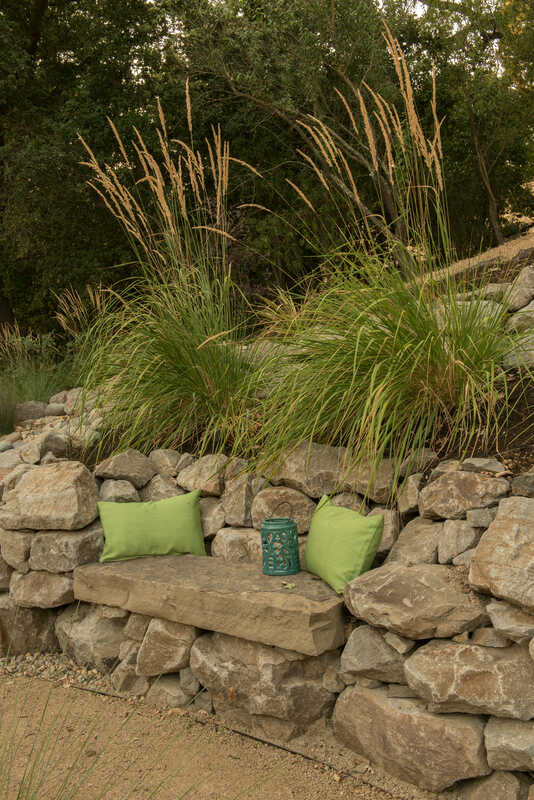 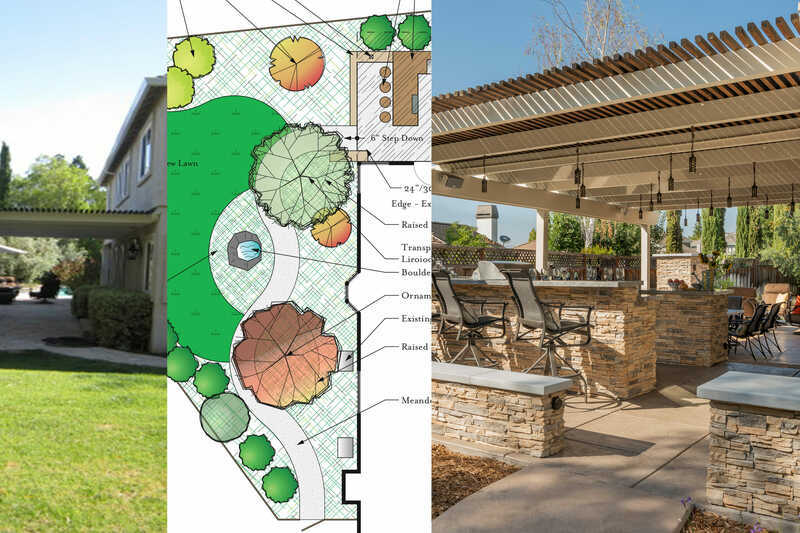 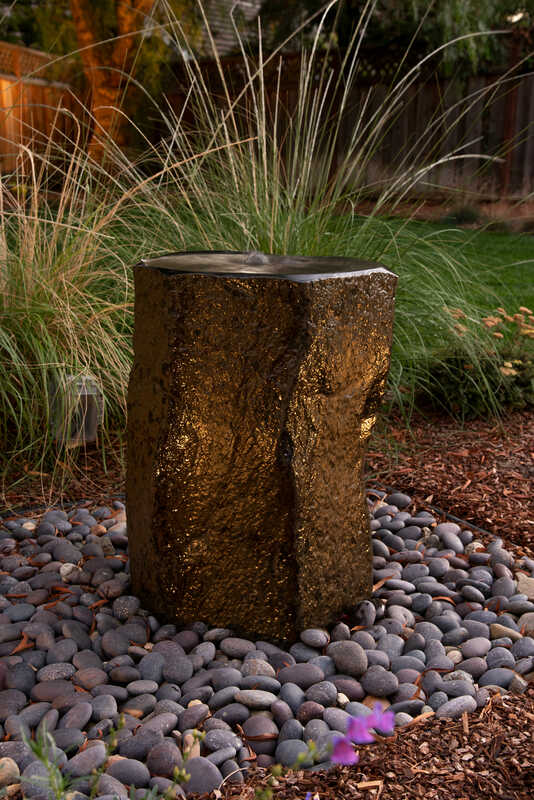 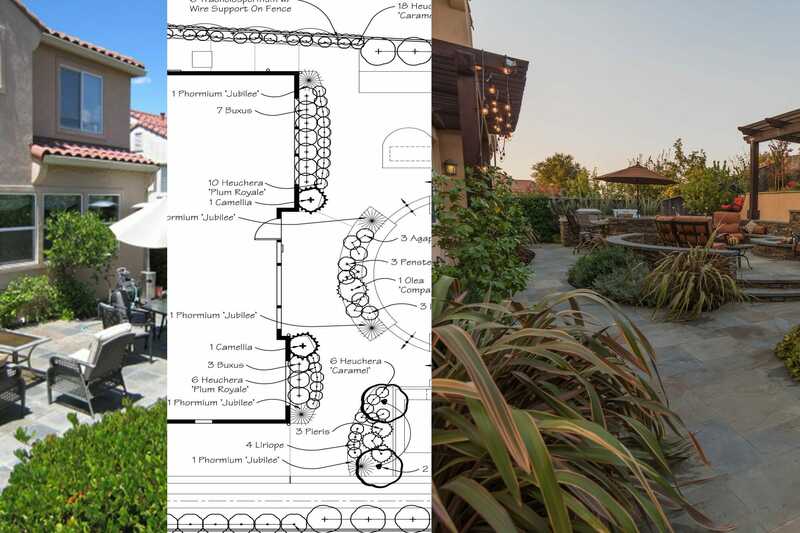 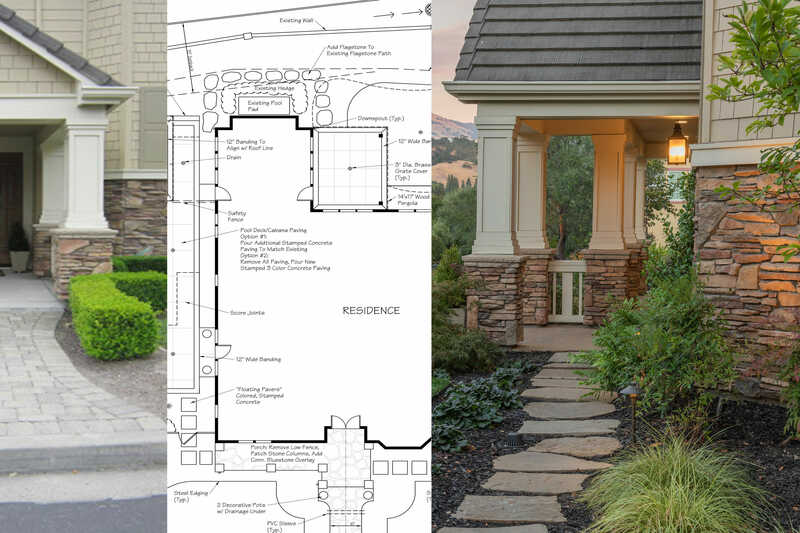 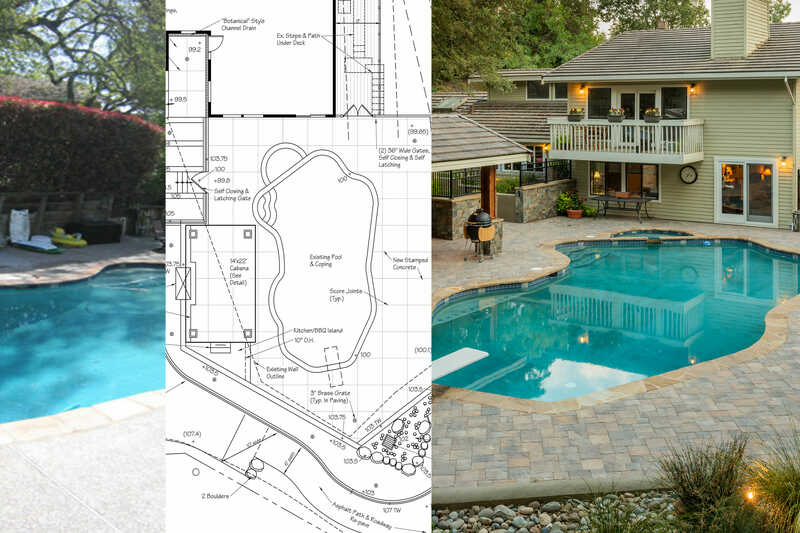 We factored in the elevation changes, and flow of movement from one area to another and through our collaborative design process created a landscape that strategically puzzled together everything on their wish list. 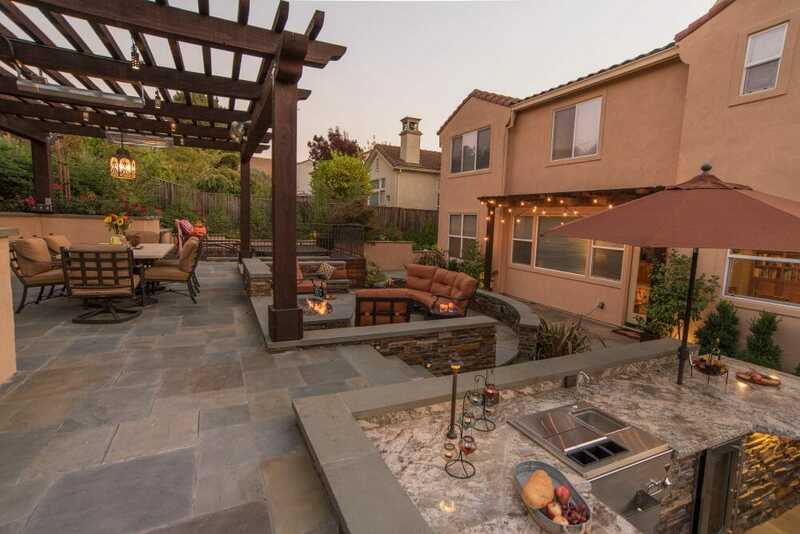 Now they have a multi-terraced backyard with several outdoor “rooms,” each easily transitioning into the next. 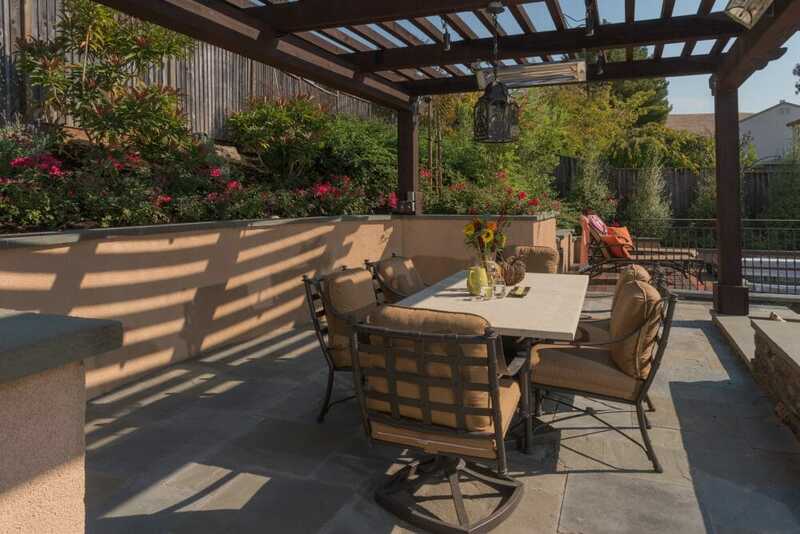 The upper terrace provides space for their dining table with an overhead pergola for shade and a unique Moroccan chandelier. 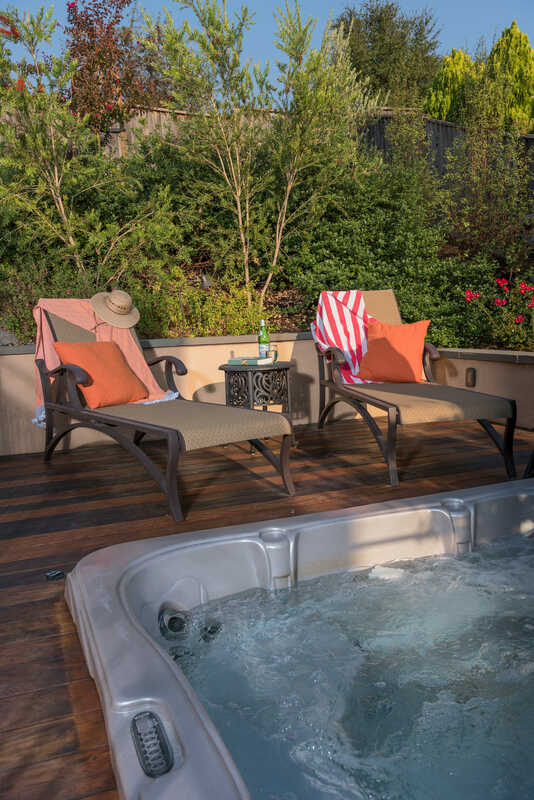 Off to the side, their therapeutic hot tub is integrated into an IPE deck large enough for two chaise lounges. 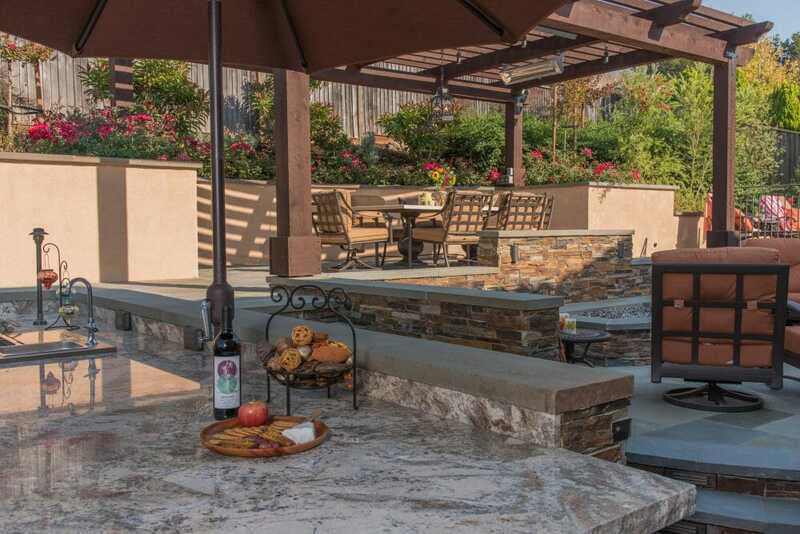 The middle terrace is the hearth, with a firepit, seat walls and furniture for cozy gatherings around the fire. 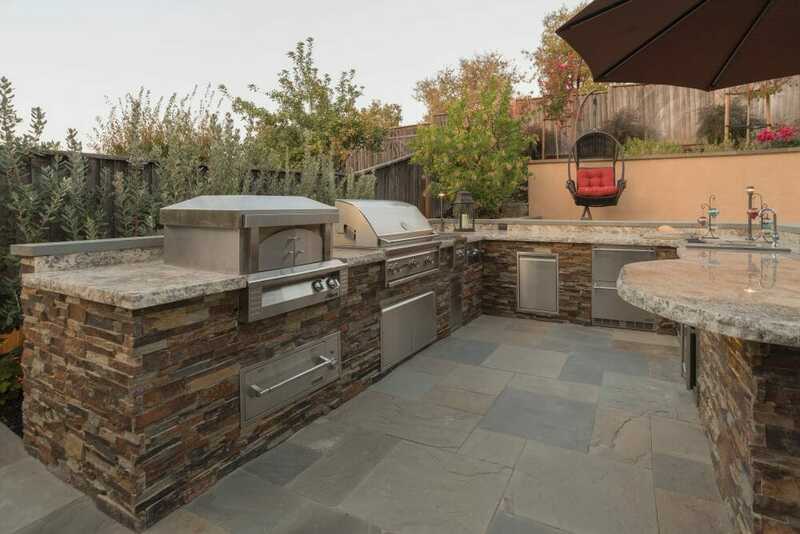 A few steps below that is the outdoor kitchen and bar island complete with several amenities such as pizza oven, grill, side burner, wine fridge, mini fridge, warming drawer, sink, storage and paper towel holder. 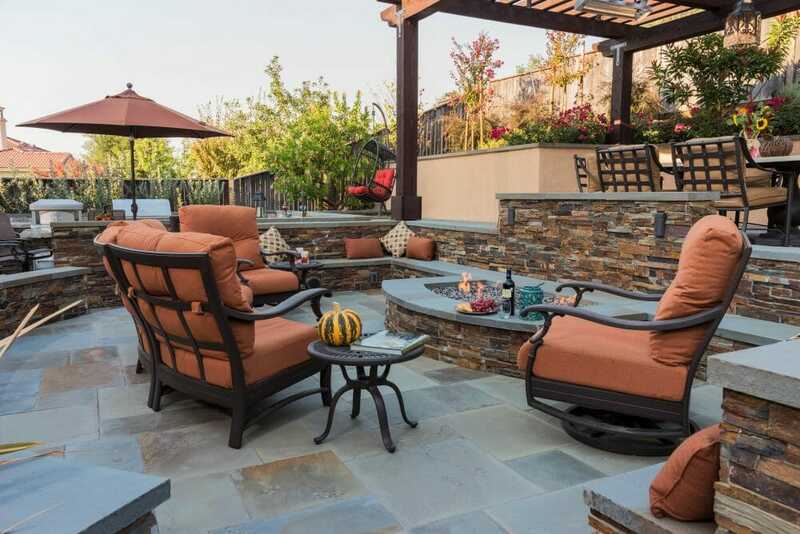 We considered every detail including: a small dog run, trash storage, outdoor lighting, new entry gates and all the beautiful stone floors and finishes that tie together their new outdoor living spaces.